"Dracula Cha Cha" pictured above. Abandoned Portal Factory requires held well timed presses. F = Fullscreen. 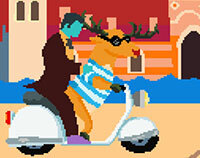 Canabalt one and two player (thanks to the NVA) versions of this hectic "endless runner" classic. Full version at link below. Dr Sanjay Gupta tricky game to cure a patient. May cause motion sickness. Dracula Cha Cha is a wonderful take on Konami's Tomena Sammer. Guide Dracula through five stages of grins. Eat!? all smaller than you & jump all bigger. Difficult. Fall. 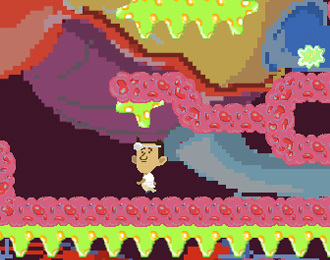 Collect fruit and power-ups, and avoid falling off the bottom of the screen. Very hard. 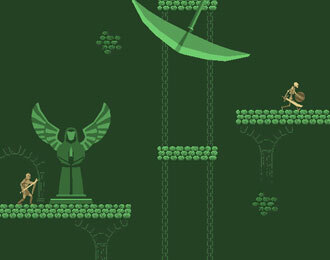 Grail is a super hard brutal platform game. Right arrow key to play. Green Thingy. 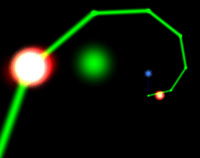 An abstract game where you use SPACE BAR to jump over obstacles to get to the end (a white hole). High High Rockets. Find your rocket then fly home in 5 mins. SPACE = 1P control. 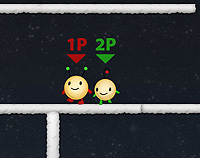 SHIFT = 2P control. Jungle Kid. Tap left-click to jump. Requires pointer control to restart a game. Mario Dash. 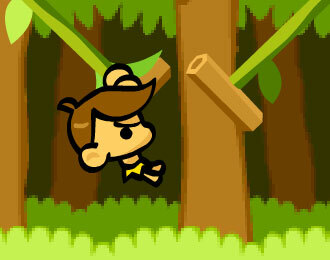 Use SPACE BAR to jump (hold to run). 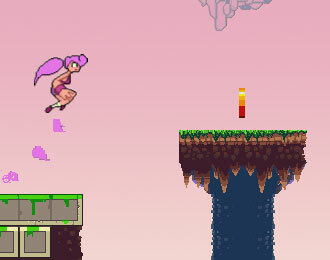 Includes a level editor to make things easier if needed. Run Rabbit RUN! 3D. Eat the carrots and avoid the gaps. Quite hard. 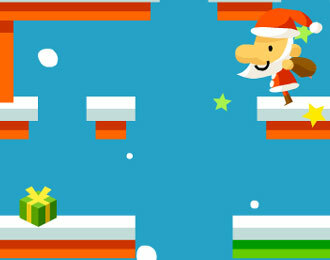 Santa Falls. Use SPACE BAR to change direction. Student Stampede. 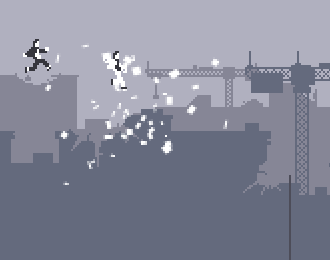 Platformer that starts gently. • One Switch blog posts.